Intuitive Web Designing: How Does It Work? Most people do not know what intuitive web designing is. When your website is easy to use, then many will use it. But that “usability” or “ease of use” part of the website is known as intuitive. Therefore, intuitive web designing means that when a person sees it, he knows precisely how to use it. He knows what to do about it. Intuitive web designing is characterised by being invisible. It has an intuitive feature where users can concentrate on something they need to do without “reflecting” on how to do it. It makes users focus on the tasks they believe are important. Intuitive web designing uses experience. Think about this: you have just arrived from the grocery and you are about to enter your place. You arrive in front of your door. You want to get inside. You reach out your hand to open the door but there is no door knob! What will you do? The example above is the same with web designing. Web designers create website apps where users will complete their tasks with ease and without any disruption. 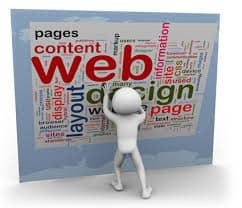 Therefore, intuitive web designing is unseen and the non-intuitive web designing is something that interrupts the tasks. Whereas intuitive designing is not seen, then, the users will not value it because they do not see it. But they will notice it right away when it is not there. The difference is that non-intuitive design makes users see the features that are unrelated to the tasks. Creating intuitive websites is not that simple. This is because users are uniquely different. What is intuitive to you may not be intuitive to other persons. In intuitive websites, it will always depend whether the users feel it is intuitive or not. Websites are developed to be intuitive. Normally intuitive web designs are developed according to how the web designers perceived it to be. Most of the web designers do not have time to see how users use the web’s features they have designed. So, what are the basic factors in developing web intuitive design? First, you need to determine the needs of your target users. Your website should aim bringing visitors to your site from task A to task Z. But you can only achieve this through research and may be surveys. What do you want your visitors perform when they visit your site? Maybe you want them to register as member of your site, log in, signing up for newsletters, and many more. And then, you need to determine the effective methods in encouraging the users to take on the desired action you want. When you have determined these factors, it will be very easy to make the framework for your intuitive design. Start with the basic concept of a website. From here, begin creating a web design with the basic and important core in your site. Avoid complicated designs that visitors may find them confusing. Always remember the principle of simple and ease of use for websites. In time and when your site is picking up, then, you can improve your website with more functional features and apps. Learn model concepts from other websites. Web designing never stops creating and innovating designs. It is a continuing process and learning. As long as human mind works, so do web designing. As web designers, you can learn from other designers and their creations. It does not mean that you have to copy their designs. It means let their designs become your venue to create another web designs. Try to understand how they work and the elements that make them easy to use and intuitive. Take note of these things for your future web designs. Most importantly, facilitate learning and make users understand your message through your design. A good web designer acknowledges and understands that each person has his level of understanding. Therefore, develop and design a website that everybody understands. Avoid complicated interface. Just be simple but the message is clear. You can add few directions on how to use a task but make it simple. Simplicity is, indeed, beauty itself! Another simple task for web designers: once you have created a new design, test it. You can bring together a group of people and show your new website framework. How they work with your website will give a good idea how the real users will perform the tasks. Trial-and-error method is always the best method to determine mistakes and improve more. Intuitive web design needs plenty of time, focus, patience, and dedication. But once it is done, you desire for more. 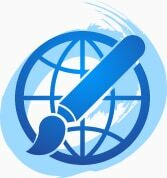 Creativ Digital Web Development Sydney has a team of professional experts in developing and designing websites. We can help you build your dream website. We can help you develop an intuitive website. We can assist you from the planning stage and in its maintenance. You do not have to employ too many experts to do every task. We’ve got them all in one package. Contact us here by sending us an email or call 1 300 055 867 for free consultation.